If you have heard of Lynchburg Virginia, you have certainly heard of the Reverend Jerry Falwell and Liberty University. Dr. Falwell made an immeasurable mark on Lynchburg, and the world, founding Thomas Road Baptist Church and Liberty University, we were saddened to hear of his passing in 2007, but honored to have been asked to construct a fitting memorial for such an influential man. 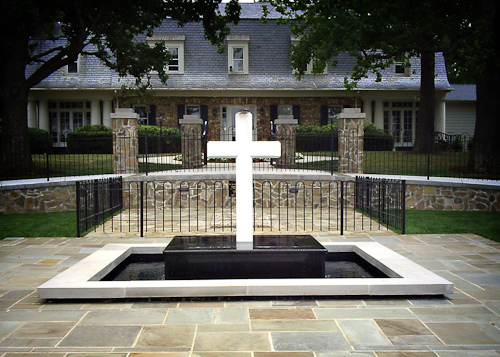 We are very proud of the memorial that we built and hope that it is a fitting tribute to him.